My son want to make a simple DC voltmeter on 0-10V range by Convert a galvanometer to voltmeter. The Galvanometer DC1mA is cheap and easy with one resistor only. We think should start with a galvanometer as Analog meter cheap, somewhat less precise than digital types. Best for finding the precise value of a voltage, current or resistance. In Figure 1 the galvanometer very sensitive meter which is used to measure tiny currents, usually 1mA or less. It is a main display inside all meters. We want to use the galvanometer to measure the voltage of DC power supply 10V. But, Can we use it? We need to know the full scale voltage of the galvanometer before. But we do not know the resistance (R) Best way is measured directly is 234 ohms only. If we take it to measure the voltage 10V, the our galvanometer certainly damage as Figure 4. 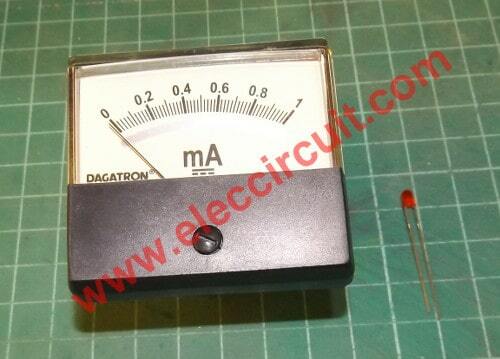 We can measure the voltage, when making the meter is equal to the voltage 10V only. The voltage is difficult to understand Because invisible image. My son said very easy, just find another wood, braced it to the same height. This Wood, we compare is a devices connected in series. Which the best devices is resistor because cheap and easy to use. How long is this wood? We compare the voltage with a length of wood. When we know level voltage, then the following order of Rs lets’ find the resistance. When is a serial circuit Current flows through all devices are equal is 1mA (as galvanometer). He trys the simple voltmeter as video below. The build the voltmeter is easy. It would be helpful to learn of your electronics. Tags: Homeschooling, Volt Meters, simple principles of electric circuits. Sorry to break this to you but; a “galvanometer” measures electron pressure or Voltage. It is not an ammeter. Awesome Circuit!!! Teaches Ohm’s law and Kirchoff’s law.. Many Thanks Once Again From MR.OHM!!! Keep these Projects Coming!! !